Thinking about running the 2018 CATHalf Trail Half-Marathon on Saturday October 27? The CATHalf Trail Half-Marathon Training Program.helps you toe the starting line feeling prepared. The training program is ideal for folks new to trail running or longer distances. Registration for 2018 Summer Trail Running Series is Open! CATHalf Racers: In case you missed it elsewhere, the 2017 race results are in: https://www.webscorer.com/race?raceid=118805. Registration is now open for the 2017 CATHalf Trail Half-Marathon on Saturday, October 28th, 2017! 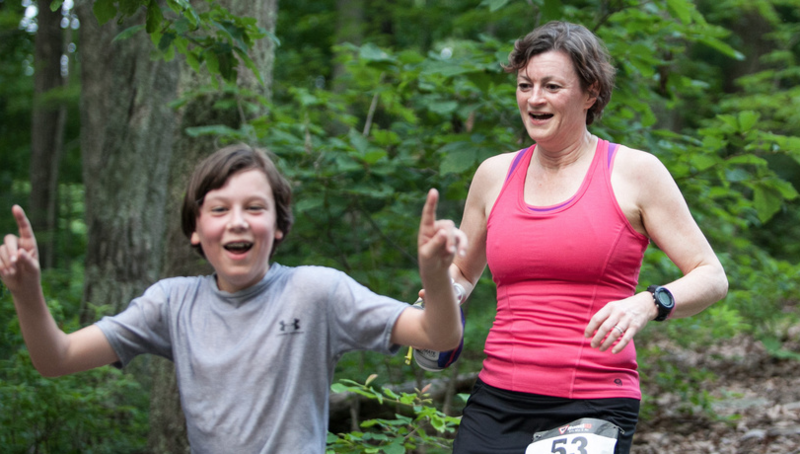 The race takes place on the sweet single-track trails of the Miller School of Albemarle. Register Now!